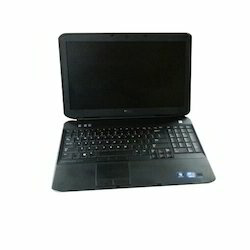 To furnish the varying desires of our customers, we are immersed in offering a world class consignment of Used Laptop. HP Used Laptop Probook 6470b i5 3rd gen, Screen Size: 14"
HP यूज़्ड लैपटॉप प्रोबूक 6470b i5 3 जीन, स्क्रीन साइज़: 14 "
We deal in Old Dell Laptop. 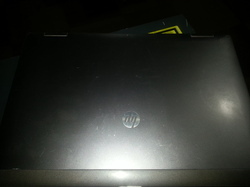 HP Folio 9470m Laptop, Screen Size: 14"
HP Folio 9470m लैपटॉप, स्क्रीन का साइज़: 14 "
HP Used Laptops And Desktops, Screen Size: 14"
HP यूज़्ड लैपटॉप और डेस्कटॉप, स्क्रीन का साइज़: 14 "
Inte Used Mix Brand C2D Laptop, Model No. : Elitebook 6930p, Screen Size: 14, 15"
Lenovo Second Hand Laptop, Screen Size: 14"
Lenovo सेकेंड हैंड लैपटॉप, स्क्रीन का साइज़: 14 "
Dell / HP / Zenith / Assembled used (working / defective) laptops and desktops. Netlink Business System Private Limited.